Are you looking for a used vehicle? Then you’re surely anticipating a headache. The car-buying process can be tedious, accompanied by its fair share of inconveniences and hassles. Fortunately, you can avoid all of that trouble by pursuing a used vehicle from DePaula Chevrolet. The dealership includes an assortment of used and pre-owned vehicles that will surely meet your requirements, and a number of services and conveniences only incentivizes why you should opt for the dealership. The car-buying process is often inconvenient, even if you’re simply pursuing a used vehicle. It can be difficult carving out the necessary amount of time to visit a dealership, and determining the proper financing can be even more of a hassle. Of course, that stigma shouldn’t accompany every dealership. DePaula Chevrolet provides a number of services that will make the car-buying process a lot more bearable. Instead of wasting time or having to juggle other important obligations, DePaula’s convenient hours and knowledgeable finance team will make the entire process seamless. In other words, don’t spend your time Googling “used cars near me.” Instead, explore all that DePaula has to offer. DePaula provides a number of services that will make the car-buying process go a lot smoother, but customers should still expect to spend several hours at the dealership. As a result, it can be tough to find a time that fits into your busy schedule. Fortunately, DePaula’s flexible hours means you should find the necessary amount of time to visit the dealership. The dealership’s sales department is open at 8:30am on Monday through Saturday, and drivers can expect assistance until 8:00pm at night (6:00pm on Friday and Saturday). Meanwhile, the service department is open at 7:00am on Monday through Friday (8:00am on Saturday), and drivers can visit the technicians until 8:00pm (6:00pm on Friday and Saturday). While the dealership is closed on Sundays, DePaula still provides drop off services. Best of all, you won’t have to waste precious time finding the dealership. DePaula Chevrolet is incredibly easy to get to, thanks to its proximity to I-90 and highway 85. When it comes to car buying, figuring out your financial situation can be tedious and frustrating. If you don’t know what you’re doing, you may feel like you’re spending countless hours going in circles. Fortunately, DePaula’s helpful finance department will handle this tedious task for you. 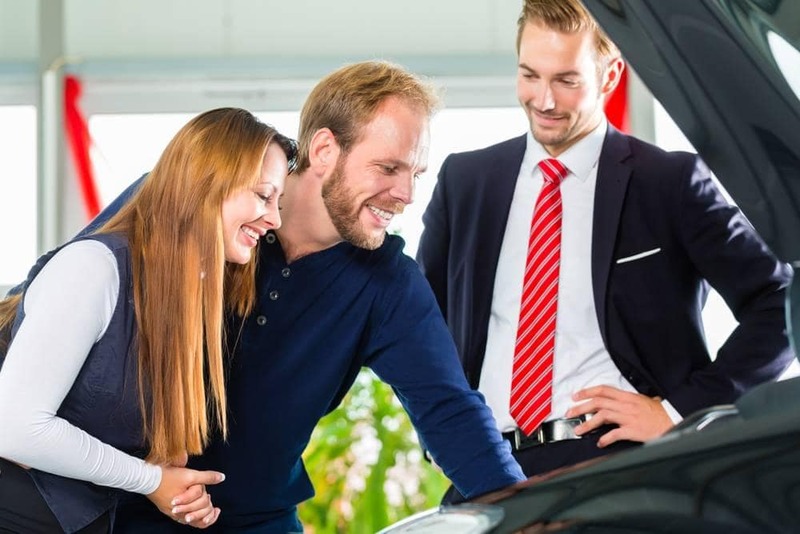 If you’re going to require some type of financing on your used vehicle, you can be assured that the dealership’s helpful team will find a deal that fits both of your needs. Furthermore, you can anticipate any deal before you even head into DePaula. The website’s payment calculator will make it easier to predict what kind of deal you’re going to receive. Therefore, you can have clarity on your budget before you visit the dealership, saving you that precious time. As your research into a used vehicle begins to wind down, you may be enticed to pursue your lowest-priced target, regardless of who’s selling it. Sure, this makes sense in theory. However, by opting for a subpar dealership, you may be missing out on a number of incentives and amenities. For instance, DePaula’s service department is ready to fix any car issue that you may come across. Furthermore, their willingness to purchase your soon-to-be former car will eliminate an entire step of your car-buying (or car-selling) process. Plus, we shouldn’t forget that DePaula also provides some of the lowest-priced vehicles in the Albany, New York area. Therefore, if you’ve been searching for a “used car near me,” why would you pursue a used vehicle elsewhere? If you run into any issues with your used vehicle, you won’t have to visit some unreliable mechanic to fix up your ride. Rather, you can rely on the knowledgable technicians working at DePaula Chevrolet. The dealership’s service department can handle minor inconveniences like oil changes, or they can help repair more serious problems. Their collision center, custom detailing department, oil change experts, and tire technicians means you’ll surely be able to find a service that fits your needs. Do you need to unload your current ride before you start pursuing a used vehicle? Well, you don’t have to deal with Craigslist or eBay as you try to sell your car to a random, private buyer. Rather, you can rely on DePaula to offer you fair value for your soon-to-be former car. The dealership will provide a complimentary offer on your vehicle, and you can take up to five days (or 500 miles) to determine whether you’re going to accept. If you do ultimately opt for DePaula’s offer, you’re not even obligated to subsequently purchase one of their vehicles. Of course, considering their vast inventory, you’d be silly not to. Predictably, it all comes down to the dealership’s inventory. If a business doesn’t have your targeted vehicle, there’s no use wasting your time looking through their assortment of offerings. Unsurprisingly, this isn’t an issue with DePaula Chevrolet. The dealership has hundreds of used or pre-owned vehicles sitting on their lot, so you’ll surely find a vehicle that fits your liking. DePaula Chevy has more than 170 used cars on hand and available today, so customers shouldn’t have any issues finding a vehicle that fits all of their needs. Regardless of your needs, desires, and budgets, it shouldn’t take long to discover your perfect used car. Looking for an inexpensive SUV? Then maybe you should consider pursuing the 2010 Chevrolet Equinox or the 2012 Kia Sportage, which are both selling for less than $15,000. If you’re looking for a sedan, then maybe the 2011 Chevy Impala or the 2012 Chevy Cruze, which both come in at $9,500 or less, would be ideal options. On the flip side, you may be in the situation where you’re pursuing a used vehicle so you can acquire an upgraded car. A fully decked-out SUV may exceed your budget, but by pursuing a previous-year model, you’ll be able to afford all of those desired amenities. DePaula has a number of impressive used options that certainly wouldn’t be categorized as “inexpensive.” There’s a used 2012 Mercedes-Benz G-Class (with less than 33,000 miles on the odometer) that’s selling for right around $85,000. There’s even a used 2016 Mercedes-Benz S-Class that’s going for an incredible $125,914. Best of all, customers don’t have to spend all day exploring DePaula’s lot as they’re looking for the ideal vehicle. Thanks to the dealership’s extensive, detailed website, you’ll be able to find your targeted vehicle in no time. Of course, we understand if you’re a bit wary about purchasing a used vehicle. While DePaula is among the most trustworthy and dependable dealerships in the Albany area, there’s still no absolute guarantee when you’re shopping used vehicles. Fortunately, by opting for one of the dealership’s certified preowned vehicles, you can be assured that you’re protected if your recently purchased vehicle runs into any issues. The majority of these CPOs are factory certified, meaning they’re backed by the brand. These vehicles have gone through an extensive inspection process. So, in the event that a mechanical problem does pop up, you can rest easy knowing that the manufacturer has your back.